Who can resist warm and delicious brownies like these Slow Cooker Brownies? 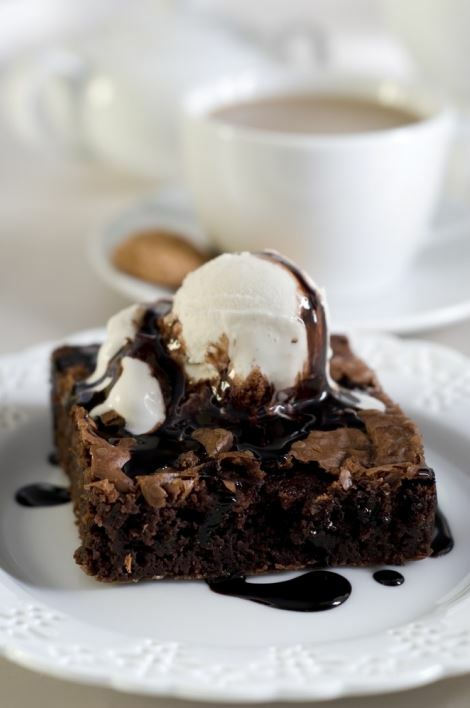 Top with ice cream & hot fudge and you will be in heaven! Combine brownie mix and chocolate chips. Spread the batter in a 3 to 4 qt. slow cooker lined with a PanSaver Slow Cooker Liner (#1089) and sprayed with Vegalene (#1212). Mix together topping ingredients—completely dissolving sugar and cocoa in boiling water. Pour over batter. Cover and cook on high heat 2 hours. Turn off slow cooker and let sit in slow cooker for 30 minutes. Serve with ice cream and hot fudge. Refrigerate leftovers.